Please Save The Date, September 8, 2019 from 2 tp 4 PM, and get a head start on your summer reading! 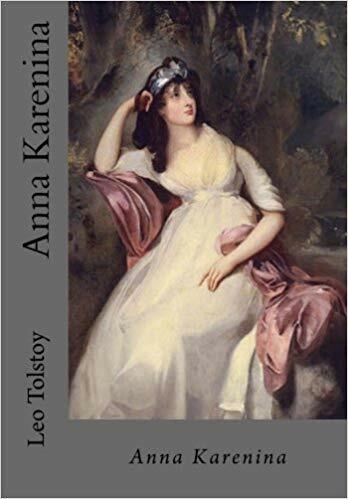 Our September book is Anna Karenina by Russian writer Leo Tolstoy! We will announce the September Book Club specifics as we get closer to the September date. We hope you join us at Book Club. It's open to all Harvard alumni and their guests and there is no cost to attend! Our goal is to pick more books and meet once a month for a fun and informative get together. It is early, but please feel free to RSVP your attendance to our September Book Club get together at the link below. Book Club registrants will be sent the address in a separate email. For questions, feel free to contact Laura Davis at laurahdavis@comcast.net or 832-467-1880. Make the Harvard Book Club distincly yours - click BOOK CLUB to RSVP today and we will see you soon!